A list of the best WordPress database optimization plugins to help speed up your WordPress site. I shouldn’t need to explain that a healthy well-optimized database is great for your website. A good database optimization plugin can take entire megabytes of accumulated clutter out of a bloated and unoptimized database. 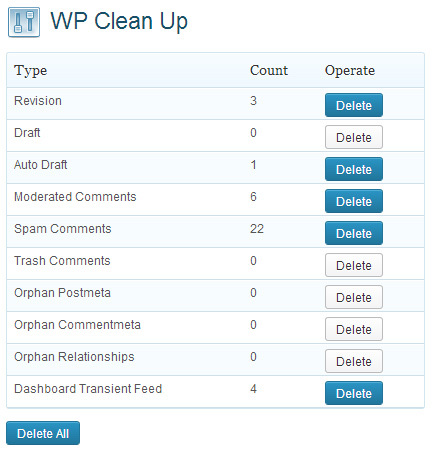 In all testing WP Clean Up beat the other plugins by a mile. 99% of plugins just do the standard MySQL database optimization function. Intelligent, or even better *ruthless* use of the above removal tools – combined with the standard database optimization tool will reduce even a well optimized database, and will clean literally 60-80% of redundant data out the typical previously unoptimized database. 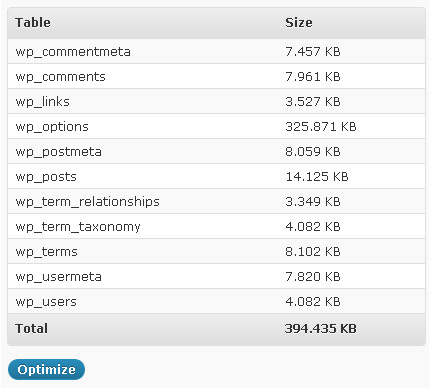 Not as good as WP Clean Up, but does a reasonable job at optimizing your database. The strength of this plugin is that it is set up out of the box to run automatically at a set period. 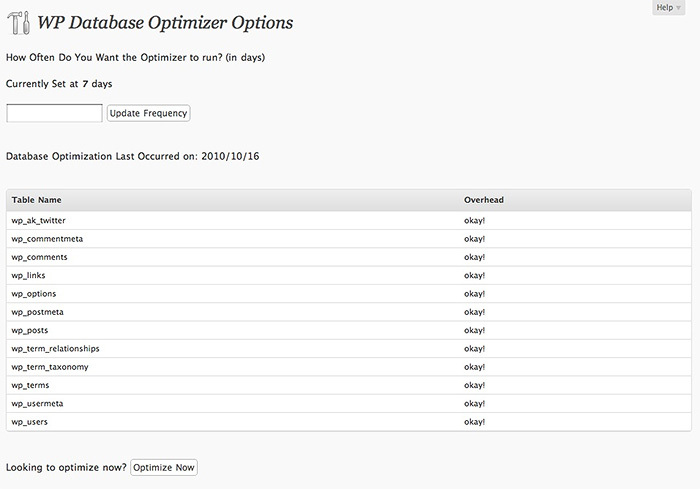 This means you can set it to optimize your database once a day for example. As well as a database optimization tool WP-DBManager is a fully featured database management plugin. The plugin includes functions that allow you to repair, backup, restore, drop/delete tables and run selected queries against the database.